As motorcyclists, there are a few things that we just don’t like. Clogged highways, yeah, that’s up there. Inaccurate weather reports, ugh. Oh yeah, and winter. We definitely dislike winter. That is the time that those of us up north have to put the bikes away call it a season. 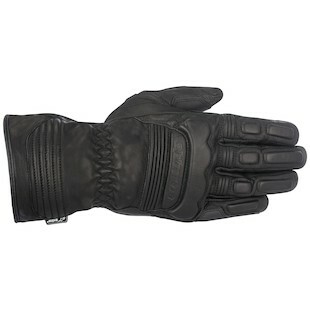 However, for the hearty amongst us who like to take it as far into the cooler months as possible, Alpinestars has a few options to help us keep our hands from freezing off in the process. The Alpinestars C-20 Drystar Gloves are a full goatskin leather glove that is backed by Astars’ proprietary Drystar waterproof membrane. This affords a great combination of tactile responsiveness and windproof/waterproof functionality. Within the Drystar barrier, the C-20 Gloves boast 80g/spm Primaloft thermal insulation to help you retain that all-important body heat on those cooler days. Additional features include synthetic leather reinforcements on the palm that work to provide extra padding and durability in the event that your hands and asphalt get a rude introduction. The Alpinestars C-20 Drystar gloves also make use ergonomically padded knuckles, thumb and palm reinforcements, and touch screen capabilities at the tip of the index finger. If you are in search of a slimmer, more streamlined glove than the C-20, the new Alpinestars C-1 Windstopper Gloves are an exciting new option. 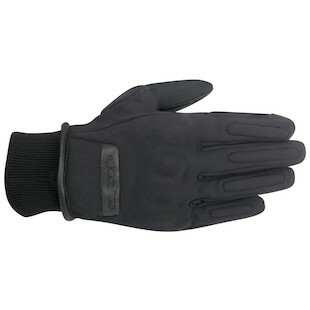 While Astars has retained the goatskin leather at the palm and thumb, they have incorporated Windstopper stretch fabric over the top of the outer shell as a way to provide flexible, comfortable, and seriously impressive wind-stopping capabilities to the C-1 gloves. For riders who have spent many miles on the road, the importance of this type of glove will not go unnoticed. With a large portion of your body heat being pulled away by wind at speed (even on warm days! ), sometimes all you really need is a quality windstopper to help block the heat-stealing winds, thus allowing you to make better use of your own body heat. Additionally, the Alpinestars Stella C-1 Windstopper Gloves are also available for women riders out there in search of a more feminine cut for slimmer hands. Whether you are looking for a full-on, leather, winter-weather glove, or a more lightweight windstopper with a bit of added moto-functionality, the new line of gloves from Alpinestars for the Fall of 2015 is here to oblige.